final fantasy rocks! this character is quite pretty! ff pix is the bomb. New pic! It's great! Thanks for sharing! 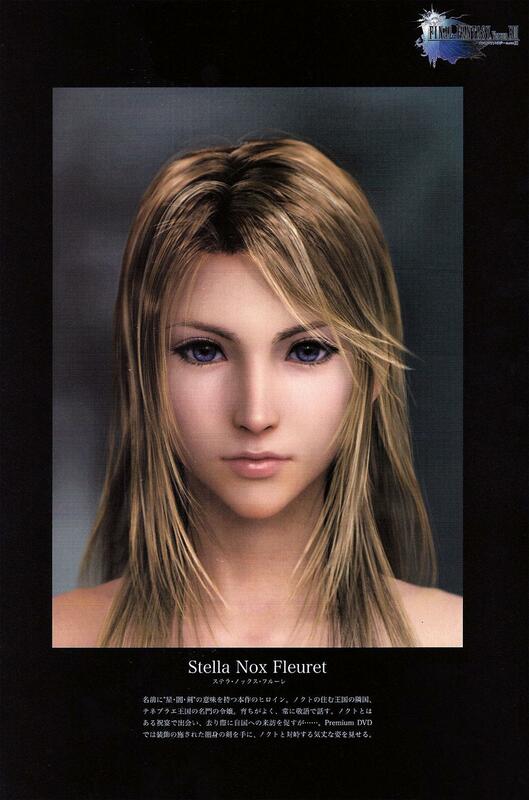 she looks so beautiful , i had see stella and noctis in trailer . they both really great ! ahhh! adoro el personaje de Stella. muchas gracias por compartir esta imagen, la he buscado mucho. wonderful scan ! thanks a lot ! Facial features remind me of Tifa. Stella's very beautiful.